In this article I discuss and compare these two saxophones and try to find out if the Yanagisawa can replace my Mark VI as my main horn. It is a bit long winded so if you want to skip to the conclusion go right ahead. I got my first Yanagisawa horn in 2006. It was a 991 alto that I bought new. My teacher at Queens College Antonio Hart first turned me on to these horns and this alto definitely allowed me to grow as a player. Those familiar with the Yanagisawa brand know that these instruments are very well made. They have excellent intonation and a clear, focused sound. In the case of my 991 alto, it was a big improvement over the Dave Guardala horn it replaced. My sound no longer felt restricted and my technique was freed considerably. With that horn I felt and still feel as though I don’t need to look for another instrument. Shortly afterward I purchased a Yanagisawa 901 baritone. This replaced a Rampone Cazzani low A horn that was a disaster to play on. The Yanagisawa baritone plays with the same ease, consistency and facility as the 991 alto. Years later I acquired a 991 soprano. Admittedly, I am not much of a soprano player, but I definitely feel as though I could be if I spent enough time with this horn. My point is that I have been a bit of a Yanagisawa fan boy for the last 10 years. I still hadn’t fallen for their tenors though. I have always been a doubler and probably did a lot more gigs on tenor than on alto throughout my career, yet until a few years ago, I was definitely an “alto player”. I switched to tenor a couple of years back. What I mean by this is that tenor became the horn I practice on daily. The main reason I didn’t do this sooner is probably because I was worried about having to learn all those tunes again in a different key. This turns out to not be that big of a deal in the end. 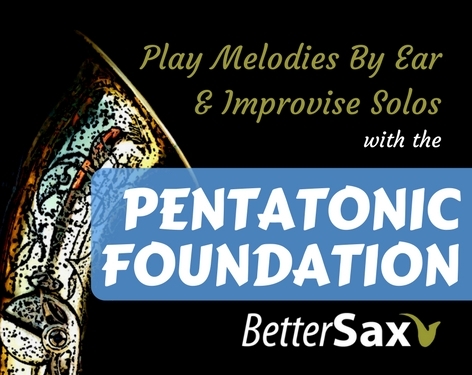 Besides the obvious benefits of learning melodies and playing chord changes in another key, switching from alto to tenor or vice versa for an extended period really helps your overall sound concept on both instruments. At the time of my switch, I possessed a Selmer Mark VI 168k and a Buescher Aristocrat Big B. Although these are both wonderful saxophones in many ways, I did miss the exactness and effortlessness I had grown accustomed to with my Yanagisawa horns. I continued shedding away and experimented with mouthpieces until I found the Vandoren V16 T7 Ebonite that really suits me. I eventually settled on the Selmer as my preferred horn, tweaking and fine tuning many details of it’s setup (I am also a repair technician). Naturally I thought, wouldn’t it be great if I had a Yanagisawa tenor that I like as much as my alto and baritone? I managed to find a 901 and a 991 tenor to try out. (I now live in the south of France, and these horns are not as easy to find as in New York). My impressions of these instruments were that they were excellent, but had a less brilliant tone that my Selmer did. The ergonomics were indeed significantly better, but what saxophonist can bear the thought of sacrificing sound for anything? At this point, I heard about a preference among some Yanagisawa fans for the early 880 tenors. Not being one who can resist the prospect of acquiring a potential gem of a sax, I began a search for an 880 tenor in good shape at a great price. Not long afterward, I got my hands on one. It was in pretty good shape, but the pads were very old. It played, but was not at it’s best. I wasn’t convinced that once overhauled, it would be able to replace the mark VI. So it sat in my sax cave for about a year. Well, I finally got around to giving this horn an overhaul. I took my time with it, and really did a meticulous job. The idea was to give it a proper trial before deciding that it wasn’t for me. If it didn’t work out as I suspected it wouldn’t, I would be able to sell it for a nice price. So for the last three days, I’ve been playing the Yanagisawa 880 and I feel like it’s gotten enough of a trial period for me to know where we stand. My first impression of this now overhauled sax was “this feels great.” It now feels like a brand new horn that has been set up perfectly. It’s always a pleasure to play an instrument under those conditions. I expected the mechanism to be great of course, like all Yanagisawas, and it is. It feels just like my more recent model 991 and 901 Yanagisawas. Though I think I prefer the oval pearl front F key to the metal ones on my newer horns. The right hand pinky keys are slightly less ergonomic on the 880 than the newer models though. I also prefer the metal thumb rests on the newer models to the plastic ones on the 880. What about the sound though? After playing on the 880 for several minutes, I switched to the mark VI. Most of the time when comparing the sound of another horn with my mark VI my horn sounded unquestionably better (except in the case of comparison with other well setup Mark VIs and also the Buescher). I fully expected the same result. As soon as I play the first note on the Selmer, the experiment will be finished, and we can put the Yanagisawa up for sale. But that’s not what happened. I thought, wait a minute, something is wrong here. Am I crazy or can this horn maybe stand a chance? After two days of going back and forth between the two horns with different reeds I started to think I may have finally found my tenor. On the third day it was time to take things to the next level and record them side by side. In order to make a fair judgement of the recordings, I better do a good warm up first I thought. So me and the 880 started with some long tones. After three days of playing this horn, she is really starting to open up to me. I’m finding the center of the tone and really feeling the resonance of the instrument. It sounds killer. We then move on to some scales. For some reason I decide to put the metronome 5 bpm faster than I normally do for this exercise. I play through it in all keys with an ease I have not felt since I switched from alto. I then move on to a series of bebop patterns that I haven’t played in a couple of weeks expecting to be a little rusty. I keep the metronome set at the faster tempo nonetheless to see what happens. Again, I fly through the lines in all keys with an even fluidity I have never managed on the Selmer and this is after a couple of weeks only playing gigs and not shedding due to some exceptional time restraints. I pick up the Mark VI to see how she handles the same patterns now that I’m good and warmed up. She plays great, but I am suddenly aware of a how awkward the placement of the low D key feels. Now that I’ve been playing for well over an hour, it’s time to record the 2 horns. 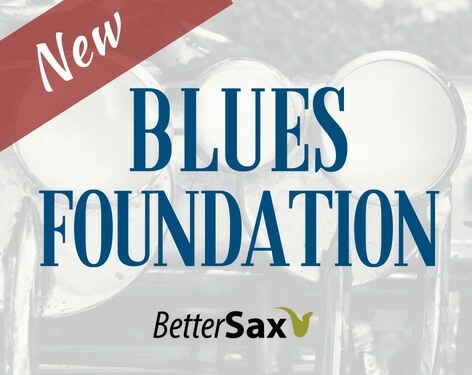 I play a Dexter Gordon solo over rhythm changes at a medium tempo. I record exactly the same thing on each horn. I have to say that the Yanagisawa already feels better under my fingers after a very short time with it. Not entirely surprising since I have 3 other Yanagisawas. As far as the sound goes, there is a difference, but I cannot say which one is “better”. The Mark VI sounds great as it should, but the 880 sounds great too. There is a difference in how the resonance feels to me though. I feel the Yanagisawa to have a fuller core. It also feels warmer which maybe is to say I perceive more lower frequencies in the sound spectrum. There is also a clarity to the sound which is very impressive. The Selmer has what I have best heard described as a “sparkle” to it’s sound, which of course is magical. In the recordings, it is impossible to say one is better than the other since they sound so similar. This is not at all surprising since the Yanagisawa 880 set out to emulate the Selmer Mark VI in design (so I’ve heard) and they did a great job. The following day, I decided to record a ballad. I play the melody to Body and Soul on each horn. This time I change the mic placement up to be a bit further away and the results are better and reveal more of a distinction between the saxophones. I get my Buescher Aristocrat out and record it as well while I’m at it. On the ballad, we can hear subtle differences between the sound of the 2 horns with the Buescher being more clearly different. I play with a lot of sub-tone on all three examples, and it is here where the individuality of each horn comes through. These are the 3 horns playing Body and Soul. Click here to see which is which after you’ve listened. The final and perhaps most important test for me is the gig. That night I am playing an acoustic gig in a fancy restaurant which is not very noisy, but not quiet either. I play here usually a couple times a week all year, so I know the sound of the room very well and the response of my Mark VI tenor in that room. To my disappointment, I have to say that the Yanagisawa seemed to not fill up the space with sound as much as the Selmer. That may just be my perception and in actuality the sound could be heard equally by the audience, but I felt like I had to work harder for the same results. I had the same sensation on two more gigs the following days. I may have to bring both horns next time and switch between sets to be 100% sure. I realize now that I have added another great saxophone to my collection with this Yanagisawa T880, but it probably isn’t “the one” but just another one of several excellent saxophones I have the pleasure of owning. Maybe the goal shouldn’t be to find “the one” saxophone. 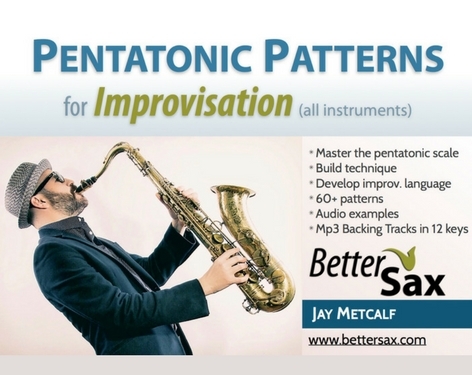 Maybe there isn’t one ultimate instrument that matches each individual player perfectly. Perhaps it is time for me to embrace the luxury of having different horns to play and choose which one I shed on or take to gigs based on how I’m feeling that day, week, month or year, like a painter with colors on a palette. 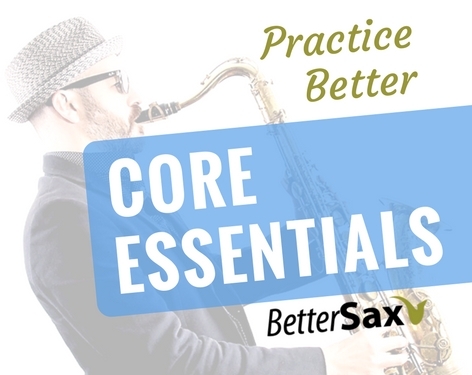 One very important truth is that the most important factor when comparing high end saxophones is how well they are setup. It is impossible evaluate the full potential of any given horn unless it is in top playing condition. You also must have a mouthpiece and reed combination that you are very comfortable with and have played on for many hours. In the beginning I wanted to find out which of these two saxophones was better for me as a main horn. I still don’t know the answer to this, because it turns out they both are great and have different strengths. Both play very well in tune. Both can produce a rich, complex and beautiful sound. Both have modern key-work and are comfortable to play. Below is a short comparison chart with what I perceive to be the stand-out differences between these two saxophones. Beyond these few points, the horns are very comparable. The take away from this experiment is that yes, the Yanagisawa T880 stands up to it’s reputation as a pro horn in the same league as the celebrated Selmer Mark VI. 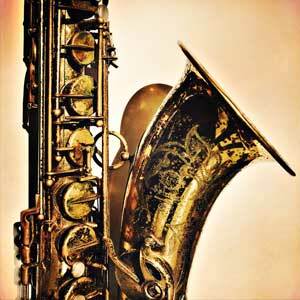 Set up well, both saxophones are outstanding and can do everything you ask of them. T880s can be found for less than $2000 dollars in good condition and a professional overhaul should be a pretty straight forward process yielding a horn that plays like new in the end. Mark VI tenors that play like a new horn cost a fortune. So for a $3000 maximum investment it is certainly possible to have a horn that is comparable to a Mark VI in top playing condition and depending on your preferences, perhaps even better suited to you as a player. I purchased mine for $1700 and the job I did on it would have cost $800-900 at least. For around $2.5k I’ve got another world class tenor saxophone. If you are looking for a pro horn you cannot go wrong getting one of these Yanagisawa T880s. You’ll save a lot of money, and have a horn that is probably much more reliable in the long term. People talk a lot about how Mark VIs are highly inconsistent. I disagree. I suspect people that say some Mark VI horns are much worse than others are evaluating horns that have leaks and other issues and comparing them to other Mark VIs that are in better playing condition. They are certainly different from one to the next, but when they are set up correctly, they all play very well. I have tested many of them over the years repairing horns and trying out colleagues’ instruments. As a technician I can say without hesitation that any Yanagisawa is much easier to get into top playing shape and keep it there long term than any Selmer especially the older horns. If you don’t have the benefit of being able to do your own repairs and adjustments, this is a very important factor in choosing a horn. Is that special sound of a Mark VI worth the price and other minor drawbacks? How much of this preference for the Selmer’s sound comes from pre-conceived prejudices based on myths and legends heard over and over? Is it even possible that a relatively modern horn made in Japan can sound as “vintage and classic” as a French made Selmer legend? These questions certainly did not get answered with my experiment. I think I’ve only managed to confirm for myself what others have already said many times. In your quest for the ultimate saxophone, play as many as you can but make sure they are in top playing condition when you do. Try not to let hype or marketing influence your objective evaluation of instruments. Trying out different horns and comparing them is a lot of fun even if you can’t decide which one is clearly better. A Yanagisawa T880 can be considered as good as or at least very comparable to a Selmer Mark VI but for a lot less money. What very small sacrifice you may make in terms of sound (depending on what you’re looking for) with the Yanagisawa, you gain with mechanism and build quality. I hope this information is helpful to some out there who may be hunting for another tenor or considering a T880. I am going to continue playing on the Yanagisawa for the next few weeks at least to see if our relationship evolves or my impressions change. I will also have to get my hands on some of the newer model Yanagisawa tenors to compare further. On several occasions, (once every few months) I compared the Yanagisawa T880 to my 2 mark VI tenors and my Buescher Big B 156 Aristocrat. Never did I consider switching back to any of the other horns. In fact, the longer I play the Yanagisawa, the more sure I am that it is the better horn for me and my professional needs. There are two notes that play quite sharp on this horn. G in both octaves and E. I’m considering trying to fix that with some tone hole shims. (lazy) Also the low B and Bb are very sharp but that’s not a huge deal. Now there are the new Yanagisawa W010 tenors available, and I still haven’t tried one. I’m very tempted! Edward, I only have one alto and it is a Yanagisawa 991. I love it and have never thought of getting a different horn since. Mark, I’m happy for you. You’ve got a great horn there. I am considering buying a Yanagisawa Tenor as a back up horn to my 1963 Mk VI, but want something different, I want to use it for pop and funk. Which model do you recommend? I like the unlaqured bronnze but would this suit pop and funk? I know mouthpiece will also affect! If you want a brighter sound, go with the brass model. The bronze definitely darkens the sound a bit. My T880 sounds like a more consistent and balanced Mark VI. Some might consider this sacrificing the character of the Mark VI, so it’s either a positive or a negative trade off depending on your perspective. I consider any of the Yanagisawa models from the 800 onward to be top level pro horns.